Diamond mine panning, historical artwork. 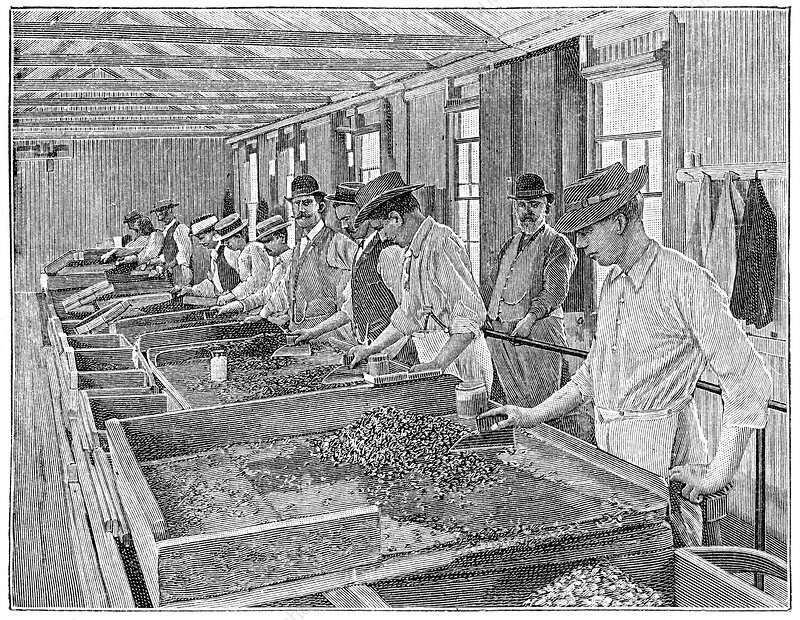 Workers at a diamond mine sorting through excavated gravel and soil to find diamonds. Typically, large amounts of excavated material has to be panned and sorted and cleaned to find the few diamonds that may be present. The technique here involves using a rectangular pan that can be tilted and shaken as water is added. This washes the lighter material away as the worker looks for diamonds. This can be repeated to ensure no diamonds are missed. Artwork from the third edition of 'Les Entrailles de la Terre' (1902) by French author Eugene Caustier.